I stumbled across Projeqt when researching new web 2.0 tools for my masters module, and what a little gem it is. Projeqt is a new way to share ideas and communicate stories. Perfect for getting students to working on class projects. 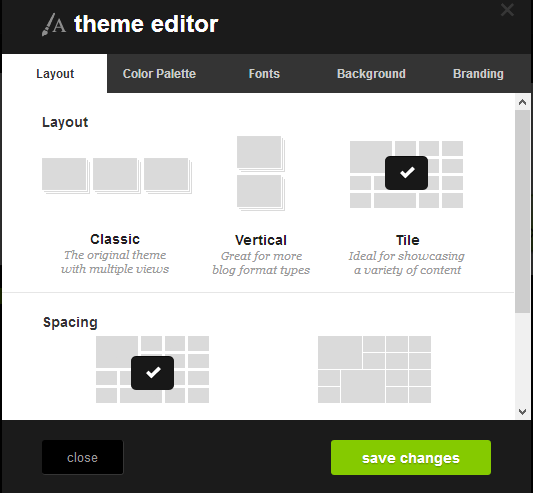 Profile: Add a title, description and tags to your project. 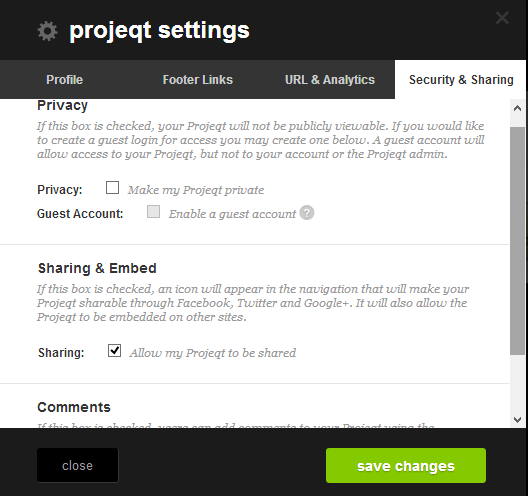 Security & Sharing: Projeqt has the necessary security setting for student work. Options for private or public projeqts. There is also an option to enable a guest account. Sharing is optional with just a tick of the box. Comments can be enabled or dis-enabled. As a non-linear storytelling platform, Projeqt gives you ability to add style and personality to your unique project. Layout: views can be changed, from filmstrip to grid view, and there’s a full-screen option. This entry was tagged presentation software, projeqts, student presentations. Bookmark the permalink.